Gone to See America 2010. Big Sur Photography Workshop with Michael Mariant. Day 4: California Central Coast. My Taxes Have Been Filed. 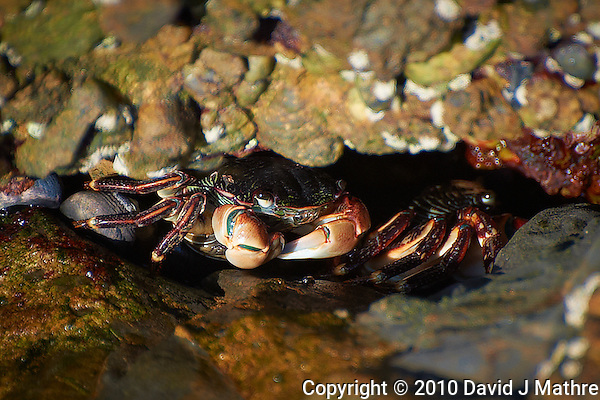 Now the crabs can come out from hiding, and I can start working on my images again! Image taken one year ago while on a Photography Workshop in Big Sur on the Central Coast of California. Gone to See America 2010. 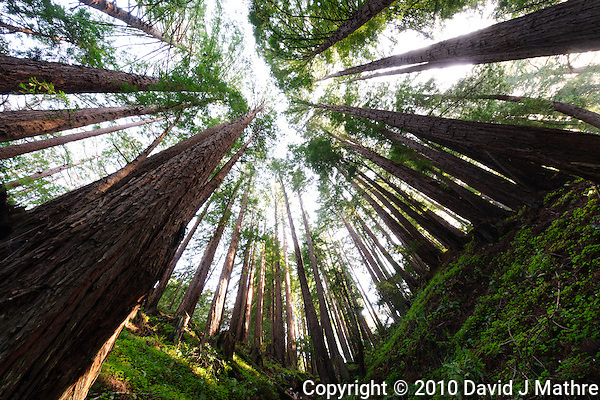 Big Sur Photography Workshop with Michael Mariant. Day 3: Big Sur & California Coastal Redwood Forest. Digital Editing — Comparison of RAW Image Converters. Something a bit different. Today I am comparing 4 different programs that convert the RAW digital images acquired by my Nikon cameras. The RAW converters that I typically use include Adobe Camera Raw (ver 6.2), Nikon Capture NX2 (ver 2.2.6), Phase One Capture One Pro (ver 6.00), and DxO Optics Pro (ver 6). The programs were all run on Windows 7 (64 bit). The image was taken with a Nikon D3x camera and 14-24 mm f/2.8 lens (ISO 100, 14 mm, f/16, 2.5 sec) on a tripod. The overall scene was beyond the dynamic range of the digital sensor. It was rather dark in the forest, thus the long exposure. The bit of sky visible is bright (and blown out). In the following days I will be comparing some HDR (high dynamic range) programs to process several images of the same scene taken at different exposures to try to compensate for the wide dynamic range. Adobe Camera Raw. This is the program that Adobe uses to process RAW digital images for Photoshop and Lightroom. Camera Raw is only able to read some of the Nikon in camera settings. In recent versions they have included settings that simulate the Nikon Picture Control settings (Landscape, Vivid, etc). The current version of Camera Raw also now includes lens corrections for a wide variety of lenses including the lens that this image was taken. Digital Editing — Comparison of HDR (High Dynamic Range) Emulation Programs and Settings. There are a number of commercial HDR programs programs available that I am evaluating. Adobe HDR Pro, HDR Soft Photomatix Pro (ver 4.0), and the recently released Nik HDR Efex Pro (ver 1.0). I will also include a couple of examples of “one shot HDR” from Phase One Capture One Pro (ver 6.0) and DxO Optics Pro (ver 6.0). Bottom line, the HDR programs have improved significantly in the last few years. The images used for this test were taken during a Photography Workshop in Big Sur run by Michael Mariant. Five images were taken with a Nikon D3x camera and 14-24 mm f/2.8 lens (ISO 100, 14 mm, f/16, 0.6, 1.2, 2.5, 5, 10 sec) with mirror up delay to minimize vibration on a tripod. Adobe HDR Pro Adobe has included a HDR rendering program with the last few versions of Photoshop. The version include in Photoshop CS5 is significantly improved over the previous versions. The program is relatively easy to use. Select File> Automate> Merge to HDR Pro, Select the images to process, OK. Once the images are initially processed, there are 14 preset options (default, flat, monochromatic, photorealistic, saturated, surrealistic, etc.). I am providing examples of the standard default, photorealistic and saturated presets. In addition to the presets there are many additional sliders to control and tweak all aspects of the final image. Gone to See America 2010. Big Sur Photography Workshop with Michael Mariant. Day 2: Central California Coast. 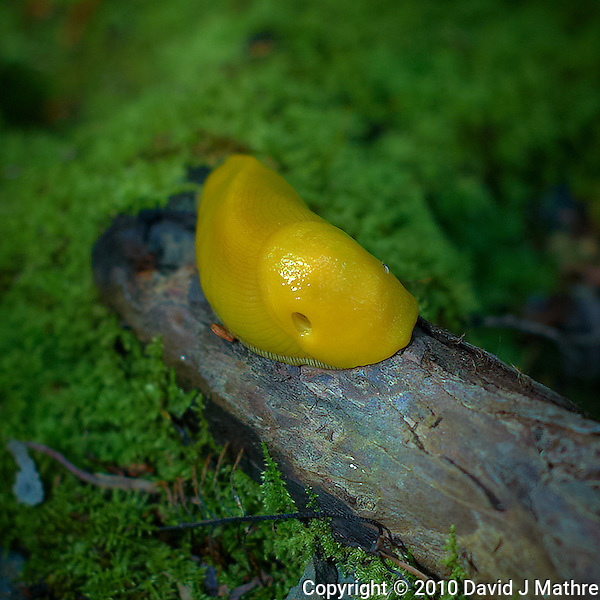 Banana Slug, Big Sur Central California Coast. Image taken with a Nikon D3s and 50 mm f/1.4G lens (ISO 200, 50 mm, f/2.8, 1/160 sec). Gone to See America 2010. Big Sur Photography Workshop with Michael Mariant. Day 1: Redwood Gulch. Comparison of HDR Image Processing Programs. I’ve used 5 images from a Photography Workshop in Big Sur taken a year ago to compare two of the newer HDR image processing programs: HDR Express from Unified Color, and HDR Efex Pro from Nik. The image is of a waterfall in Redwood Gulch where there is a very wide range of light levels. To smooth the moving water in the waterfall, I used a couple of Singh-Ray filters (Vari-N-Duo and Mor-Slow ND). The exposures ranged from 2.5 to 30 seconds. The initial raw images were processed with Capture One Pro, cropped to a square image and converted to tif. The images were then imported to Lightroom, then processed with the HDR programs. The first image is the 10 second exposure without any HDR processing. The next 5 images were processed with HDR Express using the following defaults (Optimum, Linear, Natural, Vivid, and Artistic). This is followed by 3 images processed with HDR Efex Pro using the following defaults (Realistic Strong, Realistic Gradient, and Vibrant Textures). Please let me know which (if any) you like or dislike. Redwood Gulch Waterfall, HDR Exercise. Initial Image taken with a Nikon D3x and 24 mm f/3.5 PC-E lens Singh-Ray filters (ISO 100, 24 mm, f/16, 10 sec). Raw image processed with Capture One Pro..
Redwood Gulch Waterfall, HDR Exercise. Image(s) taken with a Nikon D3x and 24 mm f/3.5 PC-E lens Singh-Ray filters (ISO 100, 24 mm, f/16, 2.5 to 30 sec). Raw image processed with Capture One Pro, HDR Express: Optimal. Redwood Gulch Waterfall, HDR Exercise. Image(s) taken with a Nikon D3x and 24 mm f/3.5 PC-E lens Singh-Ray filters (ISO 100, 24 mm, f/16, 2.5 to 30 sec). Raw image processed with Capture One Pro, HDR Express: Linear. Redwood Gulch Waterfall, HDR Exercise. Image(s) taken with a Nikon D3x and 24 mm f/3.5 PC-E lens Singh-Ray filters (ISO 100, 24 mm, f/16, 2.5 to 30 sec). Raw image processed with Capture One Pro, HDR Express: Natural. 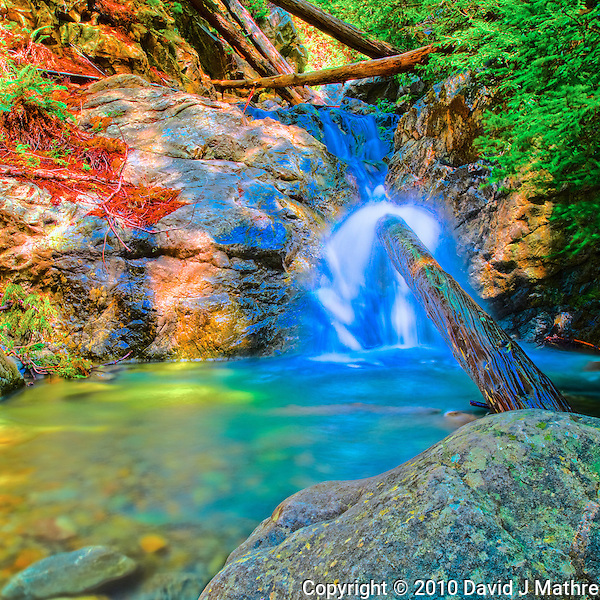 Redwood Gulch Waterfall, HDR Exercise. Image(s) taken with a Nikon D3x and 24 mm f/3.5 PC-E lens Singh-Ray filters (ISO 100, 24 mm, f/16, 2.5 to 30 sec). Raw image processed with Capture One Pro, HDR Express: Vivid. Redwood Gulch Waterfall, HDR Exercise. Image(s) taken with a Nikon D3x and 24 mm f/3.5 PC-E lens Singh-Ray filters (ISO 100, 24 mm, f/16, 2.5 to 30 sec). Raw image processed with Capture One Pro, HDR Express: Artistic. Redwood Gulch Waterfall, HDR Exercise. Image(s) taken with a Nikon D3x and 24 mm f/3.5 PC-E lens Singh-Ray filters (ISO 100, 24 mm, f/16, 2.5 to 30 sec). Raw image processed with Capture One Pro, Nik HDR Efex Pro – Realistic Strong. Redwood Gulch Waterfall, HDR Exercise. Image(s) taken with a Nikon D3x and 24 mm f/3.5 PC-E lens Singh-Ray filters (ISO 100, 24 mm, f/16, 2.5 to 30 sec). Raw image processed with Capture One Pro, Nik HDR Efex Pro – Realistic Gradient. 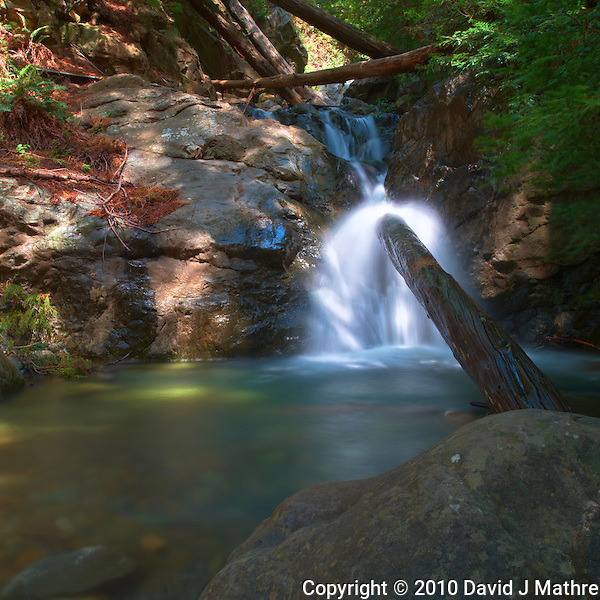 Redwood Gulch Waterfall, HDR Exercise. Image(s) taken with a Nikon D3x and 24 mm f/3.5 PC-E lens Singh-Ray filters (ISO 100, 24 mm, f/16, 2.5 to 30 sec). Raw image processed with Capture One Pro, Nik HDR Efex Pro – Vibrant.